Helen Aston, Senior Lecturer at Manchester School of Architecture, has been nominated for Royal Institute of British Architect’s first Ethel Day. Named after architect Ethel Charles, this day celebrates women in architecture, as part of which members nominated woman in the field they find inspirational. We spoke to Helen about her views on celebrating women in architecture, starting a feminist atelier and the equality in architecture. 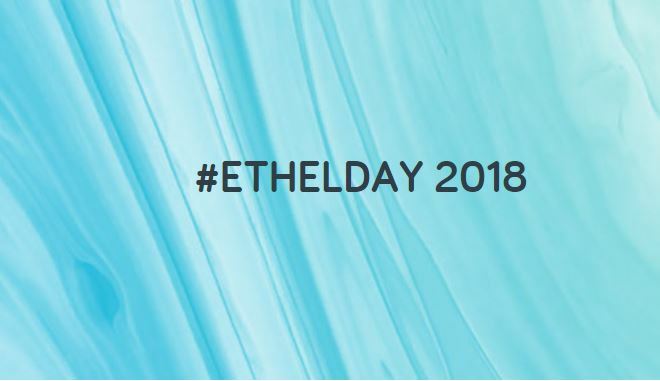 Why do you feel celebrations like the Ethel Day celebration are important? Events that celebrate pioneers in architecture like Ethel Charles, the first woman architect accepted as a member of the RIBA, are fantastic and act of triggers to acknowledge further work within our profession and architectural education that women undertake. But for me they are also important to acknowledge and highlight unsung heroines and everyday actions of all of the women who practice architecture in all its various guises. We still need to shout out about how good we are and to inspire younger women: having great role models around you throughout your education and practice is really important. Such celebrations are also great opportunities to come together and share our experiences, not only the highs and lows, but the successes and challenges of progressing through our careers. Who else in the industry inspires you? I adore the work of all the team involved with Parlour in Melbourne and Helen Frichot at KTH in Sweden for their writings, their feminist actions, their various forms of practice and their teachings. Of course, there are many others, but they’re my headlines. In terms of Manchester School of Architecture alumni, I am now teaching Emily Crompton, Sarah Renshaw and Kat Timmins in the feminist research collective and BA Architecture third year and March atelier PRAXXIS. I had the honor of teaching them and teaching with them all (but always individually) over the last 12 years I have worked at MSA and I admire their amazing capabilities. What do you think of Dezeen’s recent finding that women only run three of the world’s biggest architecture firms? Sadly, there are only three practices where women are identified as running them but realistically, there so many hidden names of amazing women in the next tier of management and practice. Even worse, the survey found that women occupy just 10 percent of the highest-ranking jobs at the world’s leading architecture firms, while 16 firms have no women at all in senior positions (Dezeen, 2017). This imbalance really needs to be addressed. Despite women making up 49% of Part 1 architecture students, the only account for only 26% of registered architectures (according to RIBA/ARB figures). Although it was only about 13% when I finished education, which is an improvement, there’s most definitely room for more, don’t you think? How are Manchester School of Architecture approaching this ongoing issue to make a difference? Well, we have a feminist atelier now led by four fabulous women! PRAXXIS is a young research collective and training atelier in the third year of BA Architecture and MArch, which was established to build on the last twenty years of my teachings. I wanted to be able to drive an March atelier based solely on feminist pedagogies and actions, and to also lead an all-female atelier at MSA. If you’re going to launch a new feminist atelier – 2018 seems like a good year to do so. We are feminists and proud of it! Interestingly, student numbers wise, we are pretty much 50:50 in the BA Architecture course, and are not far off in the March. In the senior staff team, only three out of nine are women, but out of the rest of the twenty-nine permanent staff, fourteen are women. I feel there’s always room for improvement and I would love to push onwards and upwards towards a more feminist architecture school! Could you tell us more about PRAXXIS, what kind of projects take place within this atelier? Through PRAXXIS, we want to challenge the current paradigm of the lone genius architect as hero, disseminate feminist knowledges and methods through teachings, and generally celebrate women in architecture. In terms of teaching, we are using the principles of social, political and economic equality for all by enabling projects with students to be personal and political, exploring social justice in a way that is reflexive, non-hierarchical, engaged and participatory. This always aims to reach a much broader community than the people that surround you in your school, department and profession. I recently mapped out all of the many outward-facing projects that I have been involved with in practice and teaching in the last twenty years, and realized that I had probably engaged with 20,000+ local residents and far too many 100s of students to list. In PRAXXIS, we recently designed and made a roll of feminist architectural wallpaper of as many names as we could gather of women in architecture. Also, as part of a ‘Sylvia’s sisters’ project, celebrating International Women’s Day at Manchester School of Art, PRAXXIS used the tactic of badge-making and created a feminist architectural reading list for sharing with students and staff. Additionally, we’ve created an Ethel Shed which we plan to use in various events and invite ‘feminist in residence’ architecture students to exhibit their work throughout the academic year. What advice would you give to a young woman wanting to start a career in architecture? Go for it, work to your strengths and don’t let anyone hold you back! Build and strengthen your networks, male and female. You can find out more about Helen Aston’s work on her staff profile page on the Manchester School of Architecture website, and you can learn more about Ethel Day on the RIBA website.